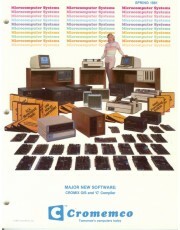 EarlyComputers: The Cromemco Spring 1981 Catalog. 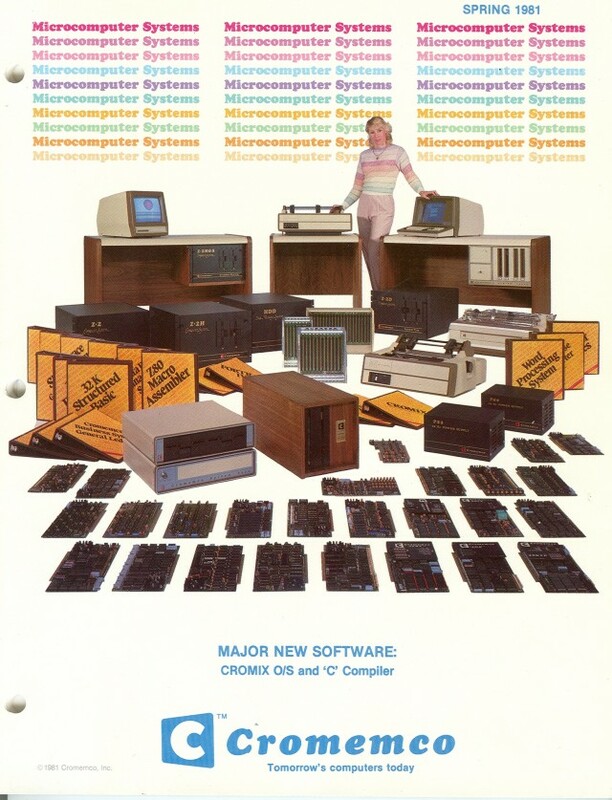 Cromemco's Spring 1981 catalog. Major new software includes Cromix operating system and a C compiler both of which were touted on the front cover. 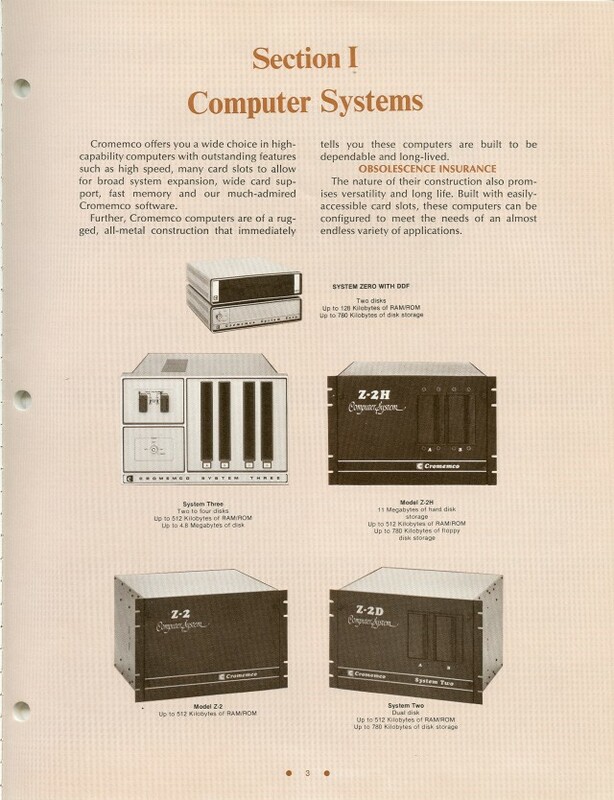 The "System Zero Computer" and the "Z-2h Hard Disk Graphics System" were the two NEW computer systems in this catalog. The System Zero came in two versions; the $1295 version had 1k of RAM memory and for $2995 you could get the System Zero/D which had 64k of RAM. The Z-2h Graphics System sold for only $14,500.